Either there will be some awesome Havocfest stuff on Friday and a comic, or just the Havocfest stuff. Depends on how much time it takes to get it all done. Oh, come on, Blank. Don’t you lay a finger on the helpless shark flailing about on the floor. That’s not just bad sportsmanship, it’s just mean. Quickly Skarva! Flop as hard as you can! You could still win this! Or a barrel roll! DO A BARREL ROLL! BELLY FLOP HIM TO THE GROUNNNNDDD!! Well, at least he can’t get stabbed in the forehead like some villains. That would put a hamper in his day. I finally caved and got Smash Bros 3DS! Somebodies going to have shark-fin soup tonight!…. on what degree if cannibalism would that be? Depends, what species is Blank? They are both human, so… a high level of cannibalism. 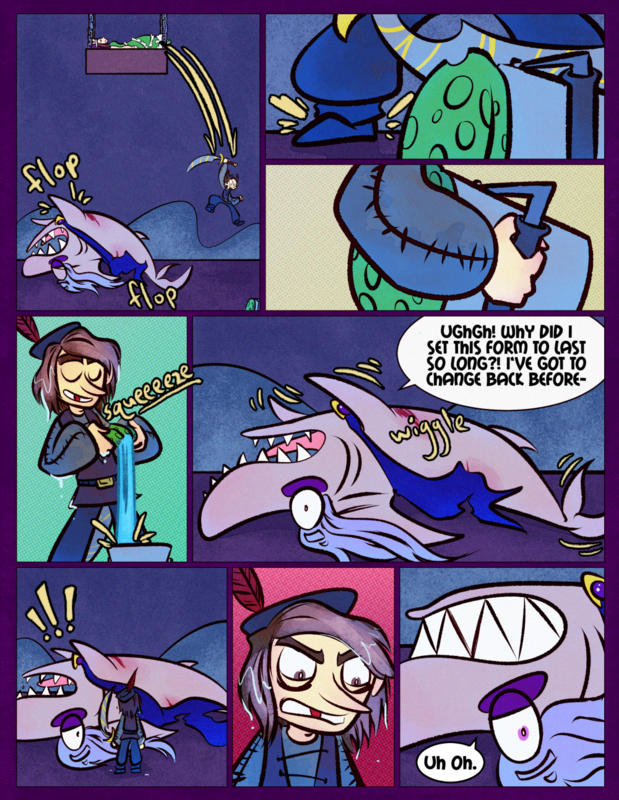 If he only ate the fin, Skarvs would be missing something when he turned back. I’d go ahead and say his ears. Nope, not going to bring up the Lorelie-based modest proposal again. What would happen if you were to somehow swallow the Sponge of Gods? I reckon you would win any drinking contest in the world. If you can make it to one alive….